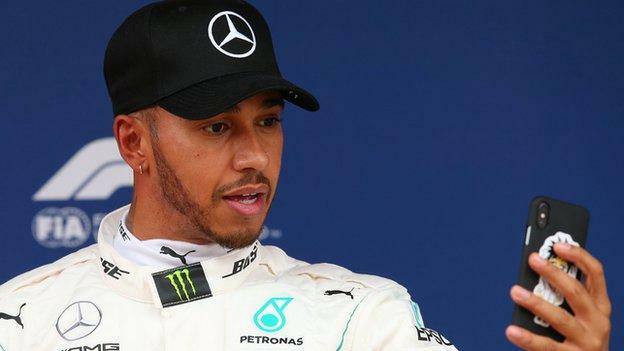 Lewis Hamilton took his first pole position since the opening race of the season as he beat team-mate Valtteri Bottas at the Spanish Grand Prix. The Mercedes drivers locked out the front row, Hamilton just 0.04 seconds ahead, with Ferrari’s Sebastian Vettel in third from team-mate Kimi Raikkonen. Red Bull’s Max Verstappen and Daniel Ricciardo secured the third row. Fernando Alonso put a McLaren in the top 10 for the first time this season, eighth behind Kevin Magnussen of Haas. Vettel has secured the last three pole positions as the Ferrari established itself as the fastest car in the early stages of the new season. But the German lost out by 0.132secs on this track that exposes the aerodynamic qualities of a car like few others. It was the first Mercedes one-two of the season, a measure of the world champions’ relative struggles to get on top of their new car and the tyres Pirelli has produced for this season. But Mercedes have looked much more competitive this weekend, where all teams have brought their first major upgrades of the season. Red Bull’s redesign is one of the most dramatic in the pit lane, but it was not enough to allow them to challenge the Mercedes and Ferrari cars, who benefit from an engine boost in the final part of qualifying which Renault do not have. Verstappen was 0.643secs off pole and just 0.002secs ahead of Ricciardo.